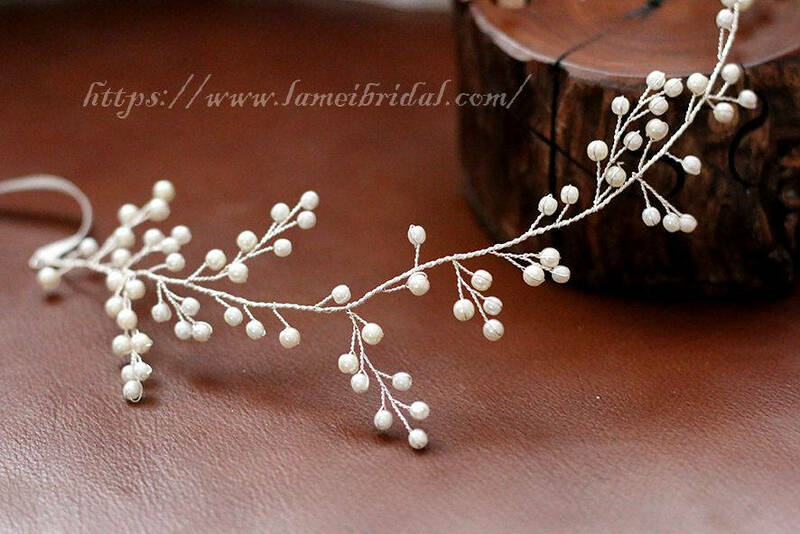 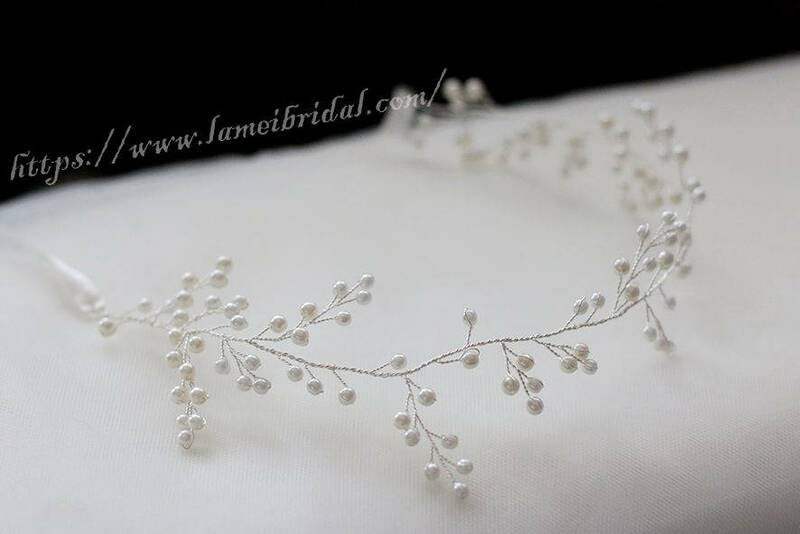 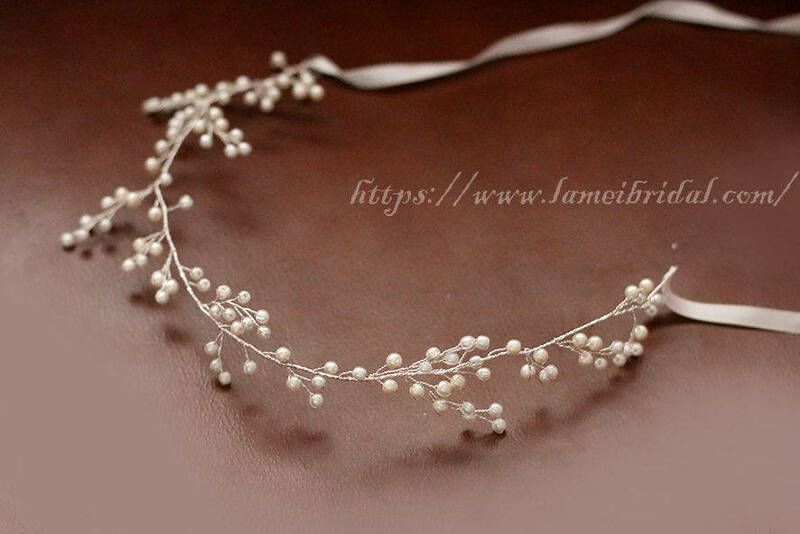 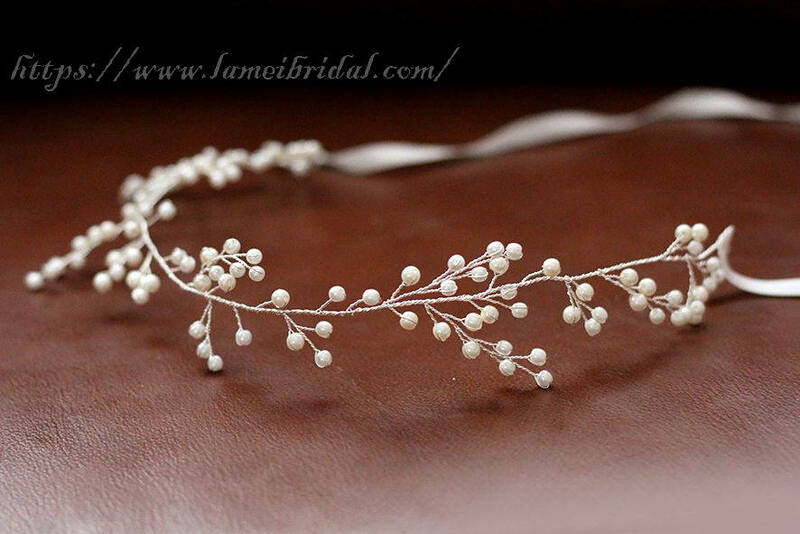 pearls flowers of various shapes and sizes are wrapped with silver wire to create this lovely floral hair vine bridal halo. 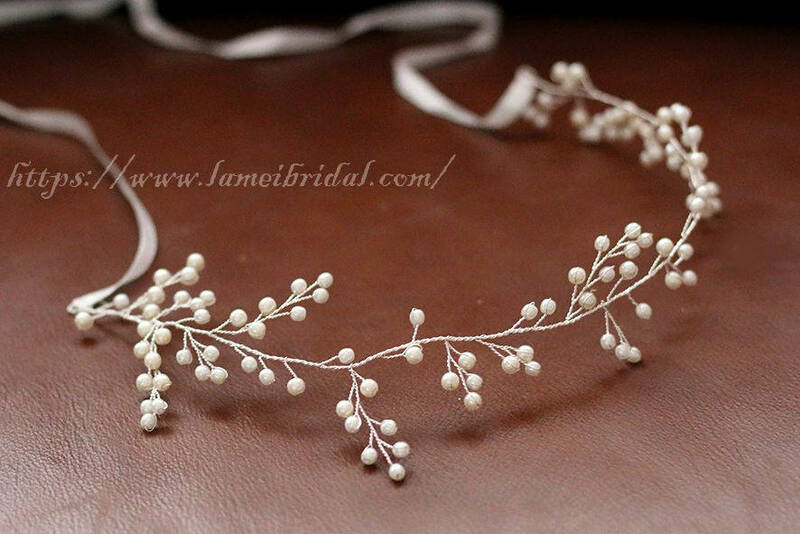 The best thing about it is after your wedding, it can easily be converted to a necklace! 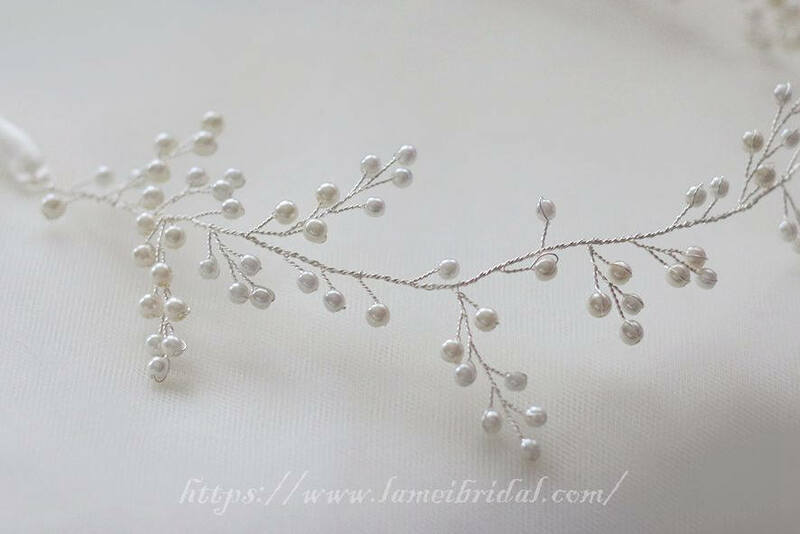 The length of this piece is 22'' X 1.2''. 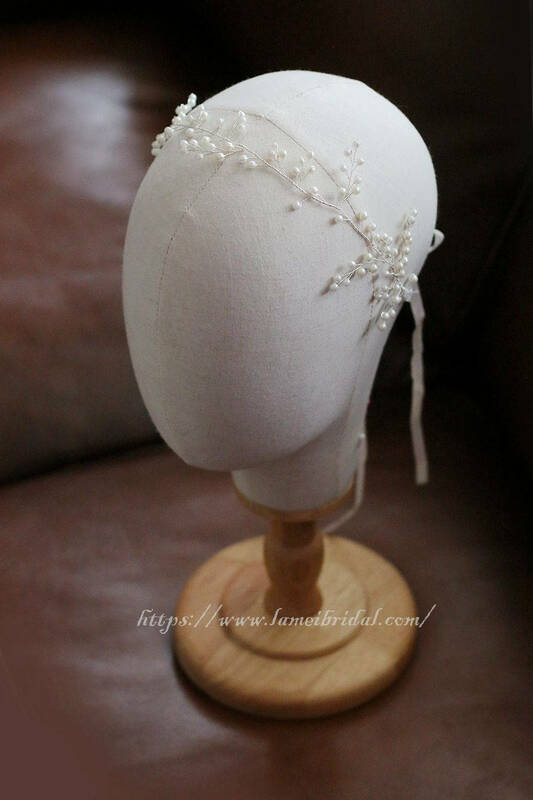 On each end there is a loop and it can be pinned into your hair where you would like to place it, or I can add a ribbon for you to tie it around the back. 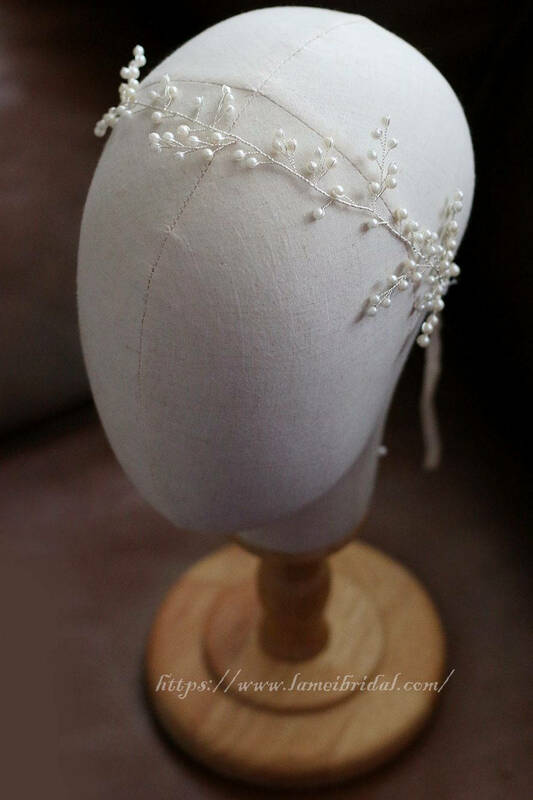 I can make it with gold wire, rose gold wire, or the wire color of your choice. 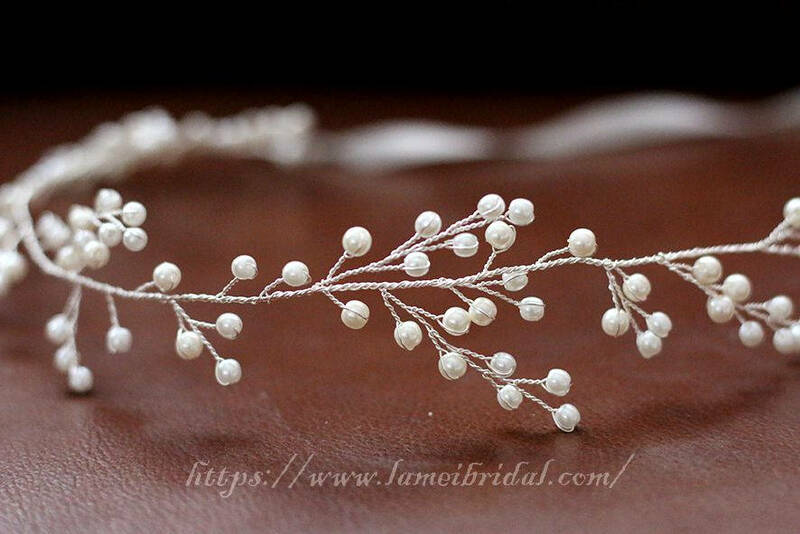 Please specify the wire or pearl color in the message to seller.